It’s 2:00 on the button and I climb out of my car. 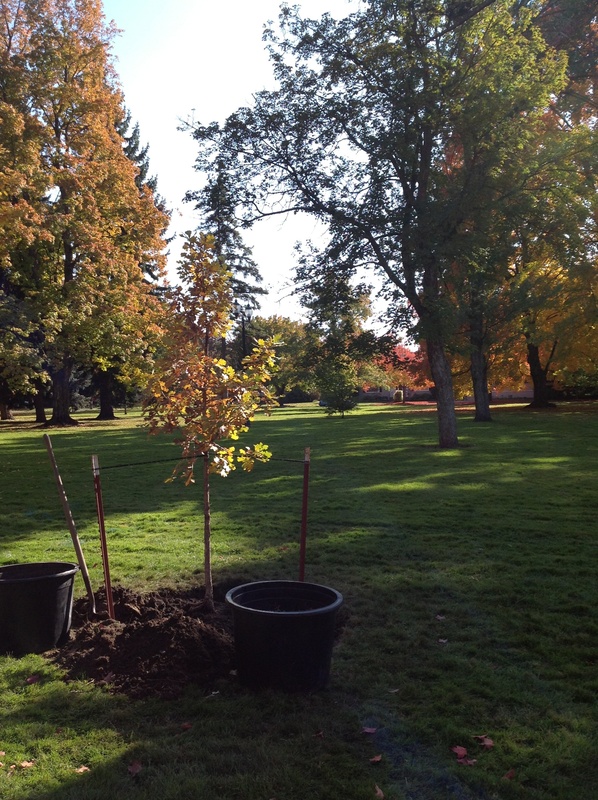 There is the new Bur Oak in Corbin Park already planted and no crew in sight. No cookies for them! I love to watch the trees go into the ground even if the dedication is only a few hours away. Disappointment. But then I see another Susie tree right beyond it. It’s a Dawn Redwood, the replacement for the poor sick Ponderosa that was planted in 2005. That was the first tree in this park and the oak is the ninth. I love Corbin Park. Later the family comes for the dedication. They stand around the tree and tell their favorite remembrances of “GranSandi”. I smile as one little boy tells that she would tell him that it was alright if she gave him a cookie on a non-cookie day. They write tree-grams to hang and private messages on leaf-shaped bits of grocery bags to place by the roots. And then there are cookies and off the children go to a soccer game. 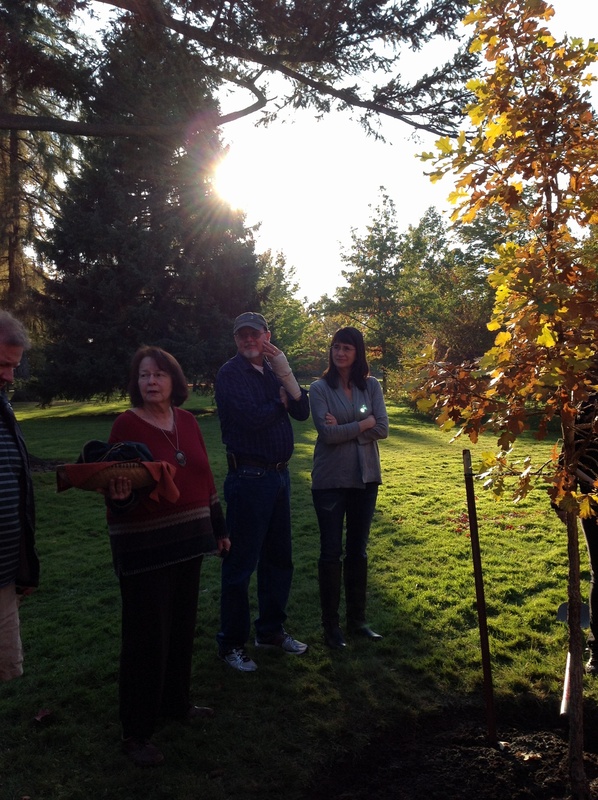 I love tree plantings and the wonderful people I meet and the wonderful stories I hear. But sometimes I’m too entranced by the stories to remember to take more pictures.